If the modsynth was semi modular, then I'd be pretty happy with this. Not much to look at. Just one oscillator, an envelope generator, and a state variable filter. A couple of mixers and a pan module. Less is more sometimes, and a Bassline doesn't have a lot more than that. Bring up the keyboard, and give it a listen. This thing will twist your control signals left, right and beyond. 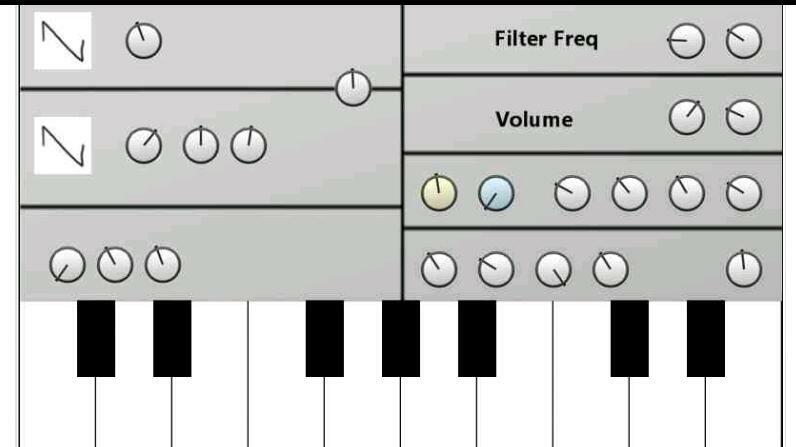 If you feel like decreasing the pitch of one oscillator, as you close it's filter, whilst increasing the pitch of another as you open it's filter, and increasing the FM depth of one to the other, as you sweep the first one's phase, and bringing up the overall volume LFO depth, all with that, one, mixer input control, marked with song automation, round the back, then this little fella is the one for you. But it can make plenty of strange noises all by itself. And I've used it here as the basis for everything but the trusty VADM Beatbox. Thank you very much, UncleAfx (on many levels). The track names say what they do. Don't even know what to say. Still laughing at Flt Sep, would have assumed it was a formant filter till I looked. Too.Many.Toys. This little baby alone freaked me out. The second I heard it I grinned, hadn't even started playing with the other filters let alone the other synths. Truly insane. FWIW, just added a quick little foldback into the FM for a little extra grit, it's in A4. That whole filter setup is gonna be so useful. And for anyone else playing with this thing that hadn't noticed, because I like the growly stuff I rerouted the crossover. You guys are on a roll. P.S. The significance of the rest doesn't escape me; still wrapping my brain around it and I got sonically sidetracked. "But if this does turn out to be my biggest contribution to the forum, then how could I not be satisfied with that?" Seriously??? And then you dump these super secret dual encoded spy waves on us? You underestimate things.